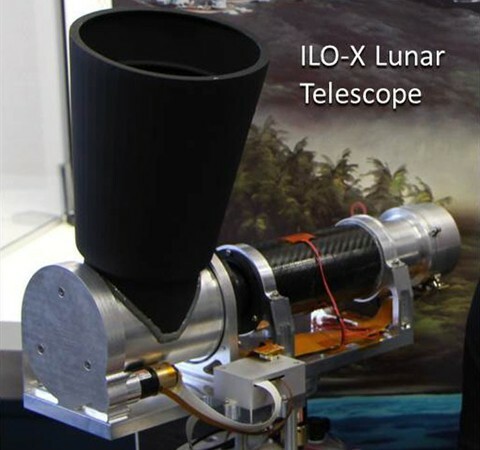 The International Lunar Observatory Association and Moon Express have spent years working on their privately-backed, Moon-bound ILO-X telescope. The prototype is now ready for test flight, equipped with a 130mm, f/5.6 aperture lens and a 6.4-megapixel resolution camera. Hardly impressive, but I’ts still something to be exited about, this telescope will be on the moon, and the goal of the project is to make it easily accessible for the public. VANCOUVER, British Columbia and SILICON VALLEY, Calif., May 28, 2013 /PRNewswire/ — The International Lunar Observatory Association (ILOA), based in Hawai`i and led by American businessman and educator Steve Durst , today unveiled flight test hardware for the first private telescope that will be launched to the Moon in 2015. Designed and built under contract from ILOA by Silicon Valley-based Moon Express, Inc., the International Lunar Observatory precursor (ILO-X) will capture never before seen images of the Galaxies, Stars, Planets, Moon and Earth and be accessible to educators, researchers and the general public in a pioneering experiment to democratize access to space exploration. Next: The important role of science through history.